Double adjustment for the length of the legs and the training angle. 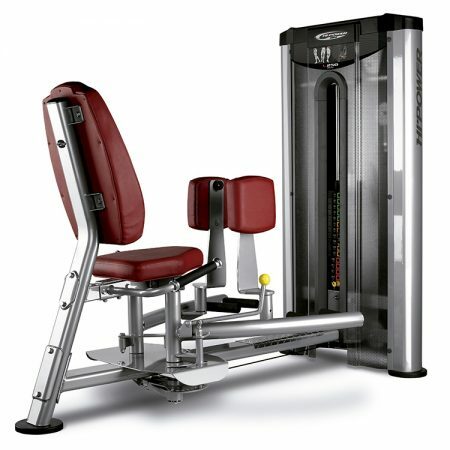 Makes possible the adaptation of the bench to all kind of users and a more varied exercise. Double side handles. 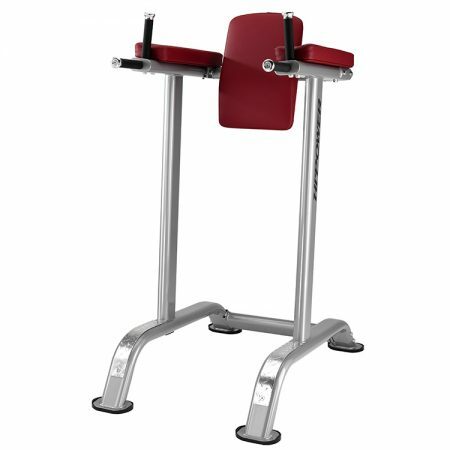 Acts as a support for users, helping to fi x the posture during the exercise. Setting elements are bright contrasting yellow. They provide a quick and easy visual identification of the selectors to be adjusted by any user, without help from the coach. Mechanical seat adjustmen with numerical indication of the height position. Makes possible the adaptation of the machine to all kind of users and helps them to adopt the correct posture during exercise. Reliable and durable design with optimized safety and comfort. Designed under the highest biomechanical standards and based on thorough studies of the anatomy of each muscle and its behavior during exercise. 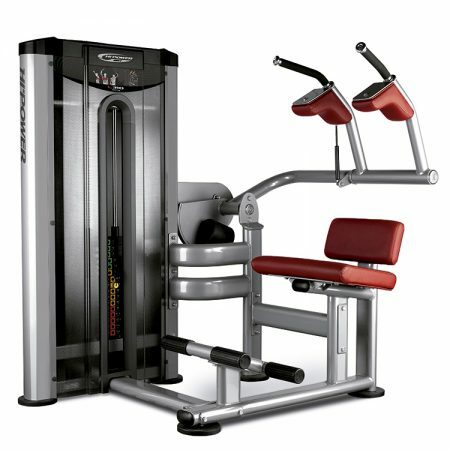 It ensures a range of soft and progressive exercise and a natural, precise and fluid movement. Three layer coating The design of this professional, up-to-date, stylish system is enhanced still further by its -layer coating comprising an initial anti-corrosion primer, for guaranteed durability, followed by an epoxy powder layer and finished with lacquer or varnish. Design with lower profile and solid outline. For a more visually striking and elegant line. Weight: 40Kg / 88 lbs. The advantage of the L310 is that it enables the load to be adapted to the user's ability. Restraint support is adjustable. The dual V-shaped cushion provides support and restraint for the shoulders. Thanks to the dual height footrest it can be adapted to users of all heights. 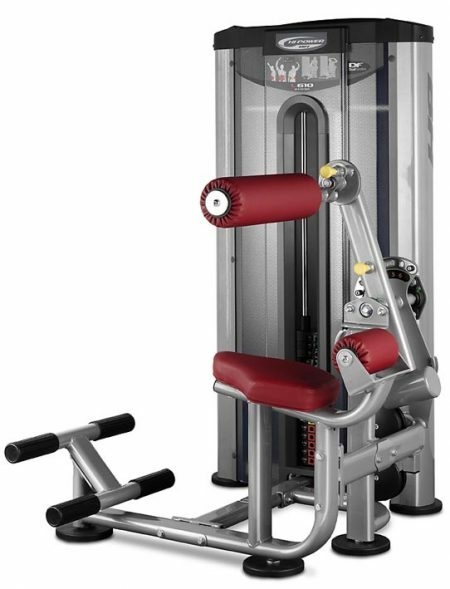 This dual machine enables two exercises to be performed on the same machine: it provides workouts for both abductors and adductors due to the 360º pad rotation. 7 different opening angles are available for each leg, which enables the user to select the abductor or adductor position from the outset. 360º Free hold For a more natural exercise, adapted to the anatomical movement of the arms of each particular user, whilst maintaining control. Controlled mobility. Structure of 4 mm thick ST-37/40 steel frame and pulley support plates of 8 mm thick steel frame. Offers guaranteed durability. It allows that 18 people can train simultaneously. Magnetic weight plate selectors. The magnets ensure that there is no possibility of the selector coming out during training. Designed for optimum exercise biomechanics. 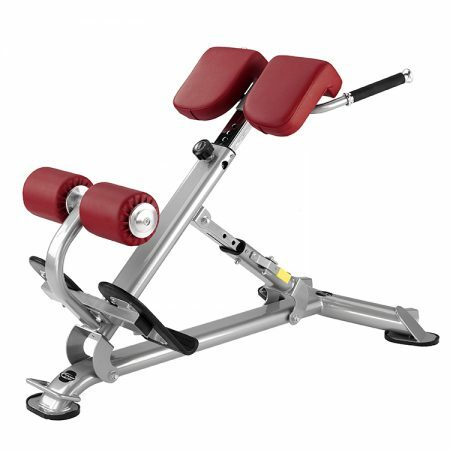 To guarantee smooth, natural movements for full muscle concentration. 10 grips and 6 hooks at the V-station for attaching elastics, rubber bands, plyometric platform… etc and an additional bar for the combat rope. 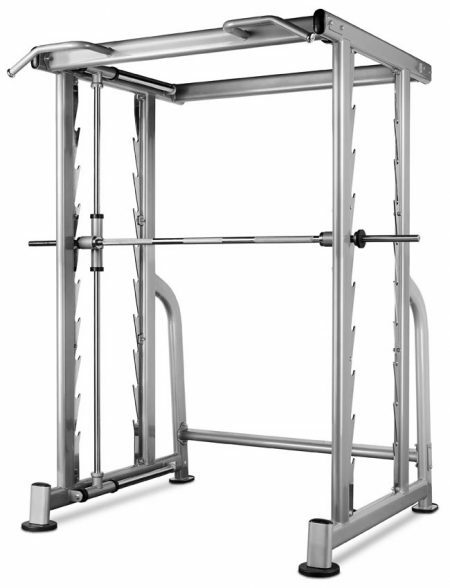 3 pivot heads (1 at the V-Station and 2 at the cable station) for multidirectional workouts with bars and weights. The heads have shafts which rotate 360º and allow the users to move the bar in multiple directions. 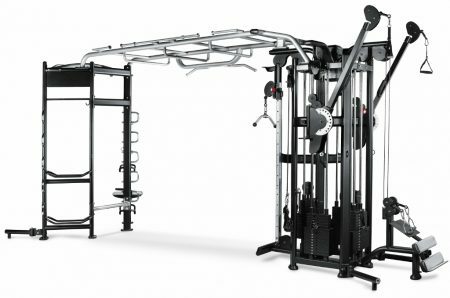 2 independent multiposition pulley arms, which can be adjusted vertically in 9 different positions and horizontally in 7 different positions. Connecting ladder between V-Station and Cable Station for suspension training exercises. Includes sidebars for TRX and Queenax type of accessories. Grips on ladder and V-station which allow the users to make chin-ups. 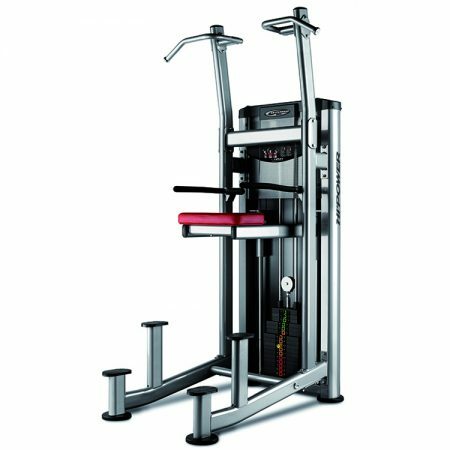 The L450 enables performance of a two exercises on the same machine: pull-ups using the high grips and squats thanks to the leg support assistance and lateral grips. The dual-height footrest platform provides access to users of all heights. The graphic panel also provides a clear explanation of the correct posture for conduct of the exercise and the muscles involved in the same.